Have you noticed that your Rogue is handling speed bumps less and less comfortable for you and your passengers? Or that your Altima bounces when you go through a pothole, when before it always handled them with a little more grace? Maybe your Titan makes a growling or clicking noise when you start to ease into a turn? All of these are indicators that your suspension in your Nissan might be failing. Your suspension system is made up of a series of pistons, coil springs, as well as the all-important shock absorbers and struts. The shock absorber and struts are responsible for the smooth, comfortable drive you’ve come to associate with your Nissan. When these components start to give out you will experience a bouncy ride, and your Nissan’s ability to handle turns starts to diminish. During these turns you will start to notice your vehicle swaying instead of easing into the change of direction. What is a Nissan Shock & Strut Suspension Service? Possibly most unfortunate of all, there is no recommended maintenance schedule from any manufacturer (Nissan included) that will give you an idea when these parts of the suspension system start to fail. Since this wear happens over time, Lang Nissan of Mission Bay is glad to offer one service to cover both of these incredibly important features of your Nissan. 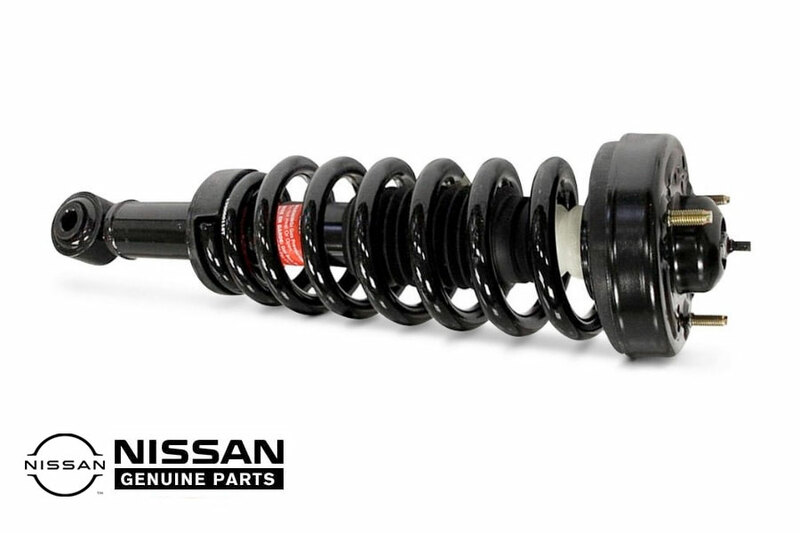 During the Nissan Shock & Strut Suspension Service, one of our Certified Nissan Technicians will inspect all of the components of your Nissan to see which part of the vehicle is causing the concern. From there, we will remove the tire and wheel in question to be able to replace the faulty components with new, genuine OEM parts. Taking it one step further, we will also check for any leaks around the shocks and struts, look for any damage to the strut body and finally check for any corrosion or damage around the strut mounts and bushings. You know who we are: Schedule your Appointment today at the only independently owned and operated Nissan store in San Diego! Our knowledgeable Service Advisors will be able to answer any questions you may have about your Nissan Shock & Strut Suspension Service while we invite you to wait in our comfortable Customer Lounge and enjoy our vending machines stocked with all of your favorite snacks. If you’d rather not wait with us, we also offer rental cars onsite.